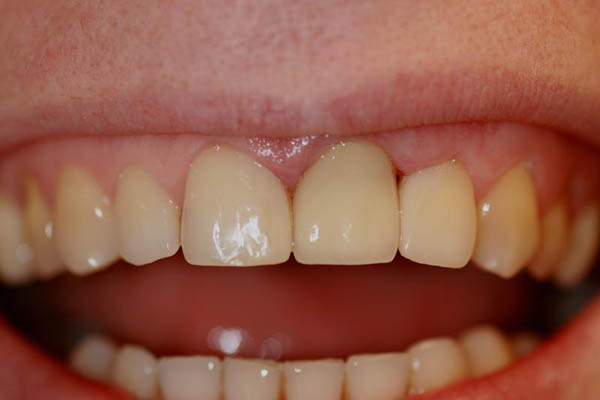 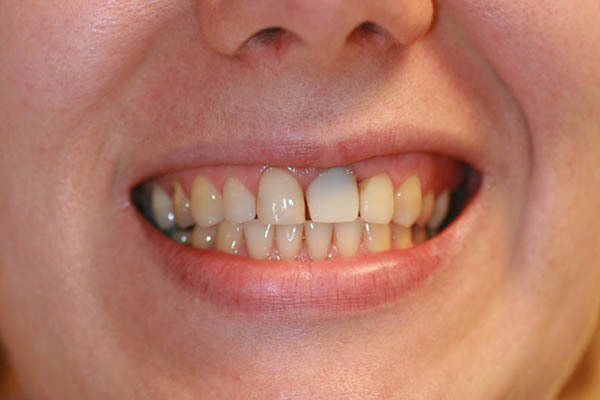 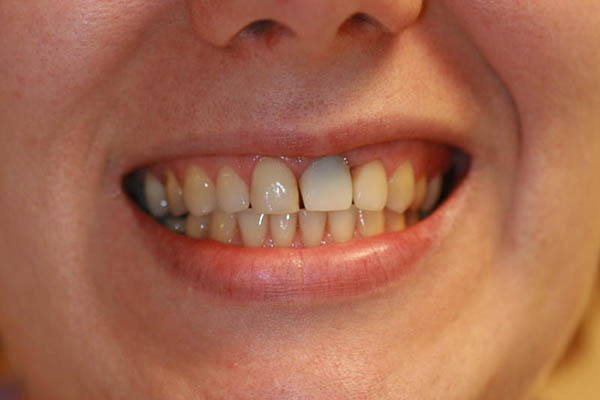 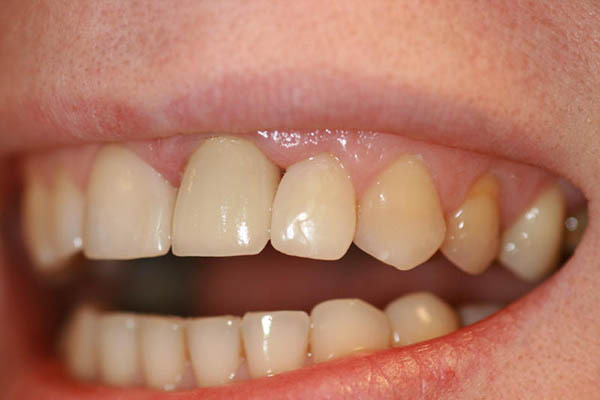 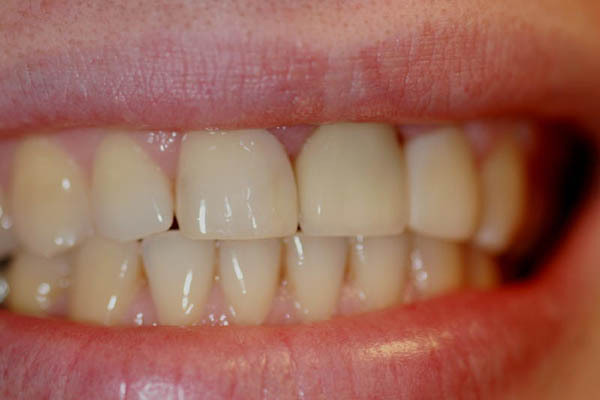 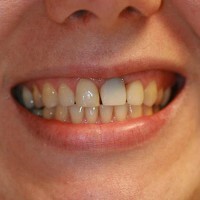 Darkened part of the tooth was removed as deeply as possible and the previous crown was replaced with zircon crown. 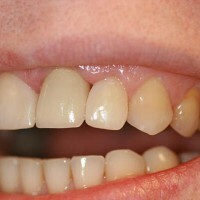 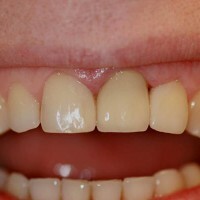 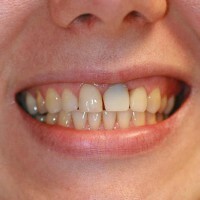 The shape with the teeth next to it was fixed with composite filling. 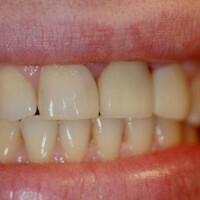 Ceramic crown on zircon base.